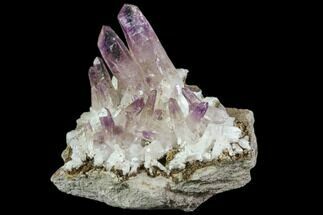 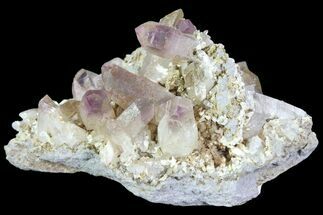 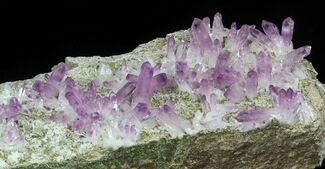 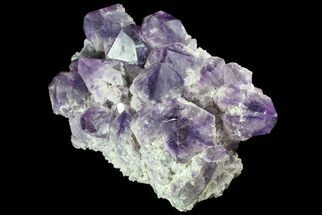 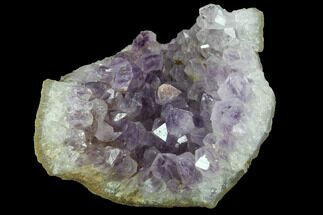 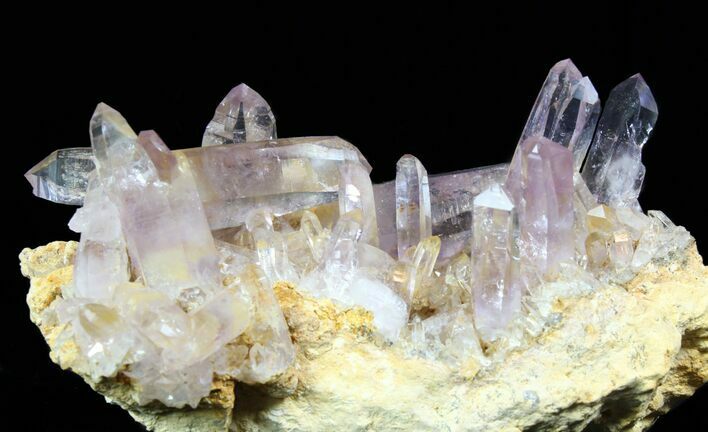 This is a stunning, amethyst crystal cluster from Las Vigas, Mexico. 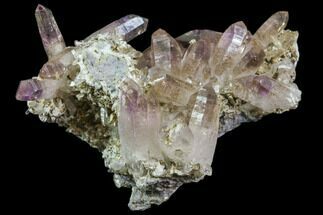 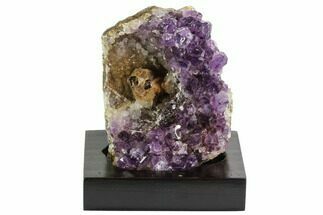 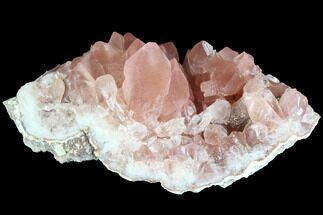 The entire piece measures 5x3.6" and there are dozens of beautiful crystals with nice terminations protruding at multiple angles. 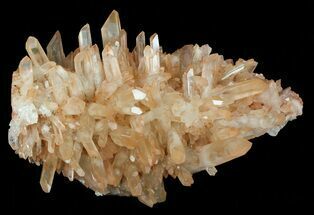 Cluster 5x3.6", longest point 1.4"